Ant management requires diligent efforts and the combined use of mechanical, cultural, sanitation, and often chemical control methods. It is unrealistic and impractical to attempt to totally eliminate ants from an outdoor area. Focus management efforts on excluding ants from buildings or valuable plants and eliminating their food and water sources. Reducing outdoor sources of ants near buildings will reduce the likelihood of ants coming indoors. Regularly inspecting your home for ants or ant entry points is an important part of an IPM program. Monitor for ants near attractive food sources or moist areas. Ants may invade kitchens, bathrooms, offices, or bedrooms. Inspect under sinks, in cupboards, and along pipes and electrical wires. Look for large trails of ants or for just a few stragglers. Straggling ants are scouts randomly searching for food or nesting sites. When you spot ant trails, try to follow the ants to where they are entering the building and to the nest if possible. Look indoors and outdoors for holes or cracks in foundations or walls that provide entry points to buildings. To keep ants out of buildings, caulk cracks and crevices around foundations and other sites that provide entry from outside. 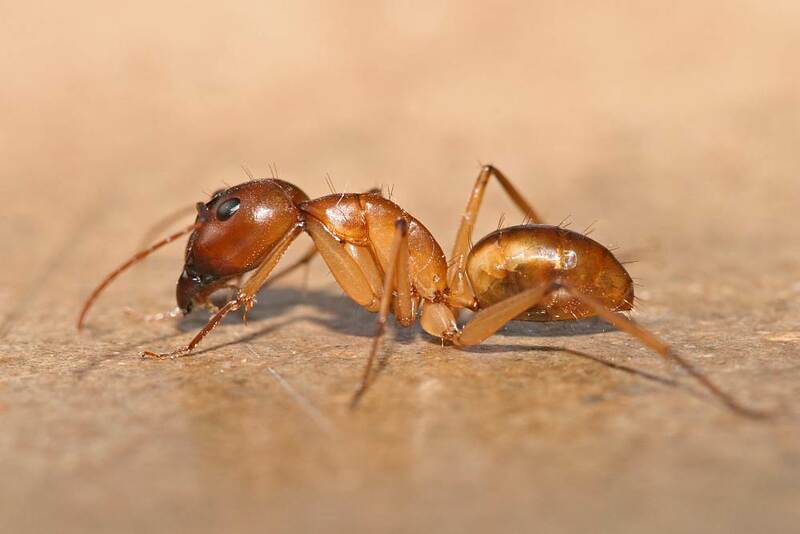 Ants prefer to make trails along structural elements, such as wires and pipes, and frequently use them to enter and travel within a structure to their destination, so look for entry points in these locations. Prior to caulking, some pest management professionals may apply products into wall voids before sealing them up. Indoors, eliminate cracks and crevices wherever possible, especially in kitchens and other food-preparation and storage areas. Store attractive food items such as sugar, syrup, honey, and pet food in closed containers that have been washed to remove residues from outer surfaces. Rinse out empty soft drink containers or remove them from the building. Thoroughly clean up grease and spills. Remove garbage from buildings daily and change liners frequently. Outdoor ant nests may be associated with plants that support large populations of honeydew-producing insects such as aphids, soft scales, mealybugs, or whiteflies. Avoid planting such trees and shrubs next to buildings, or manage honeydew-producing insects. Keep plants, grass, and mulch several inches away from the foundation of buildings, because these items provide nesting sites for ants. Fix leaky faucets and sprinkler heads; these attract thirsty ants.